A puppy is probably one of the best pets one can have at his house. It is also the most faithful animal on the planet earth. According to a survey US spends as much on pets as Germany spend on whole of its defense budget. So that clearly means that we spend a lot on our puppies and other pets. We buy them their favorite food, take all possible care of them. Here is another pleasant surprise for your puppies. We are going to build a pallet wood house for your puppies. 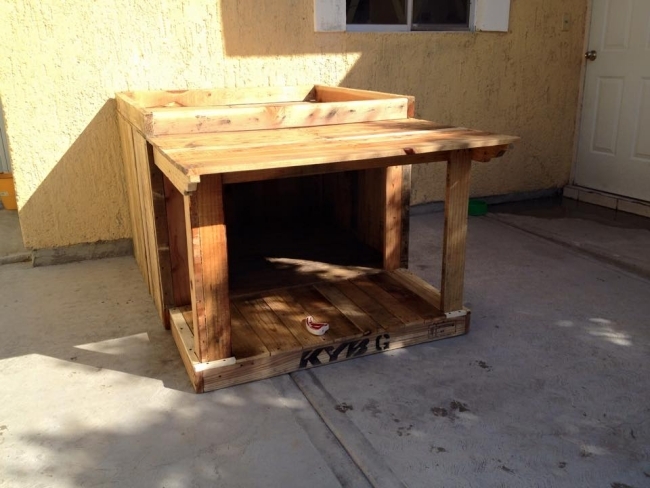 Yes this pallet wood house for your puppies would be pretty according to your choice. 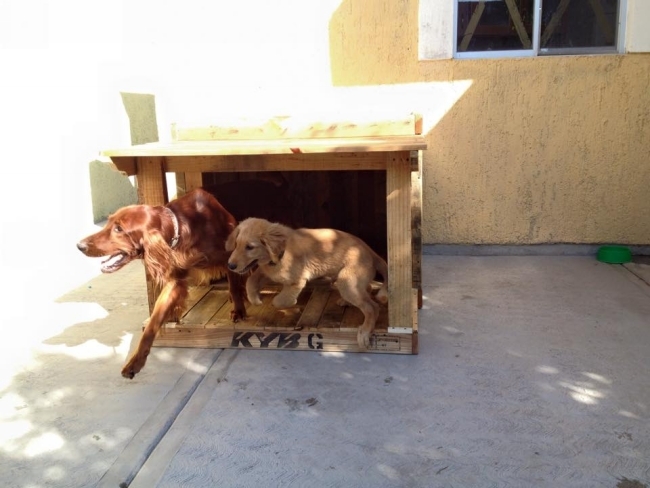 A pallet wood house for your puppy is not anything odd or impossible. We have made all type of wooden items by recycling the wooden pallet. This is also going to be just another wood article. The same raw pallets would be used, same basic wood work tools, and certainly some pre project home work that includes the measurements and dimensions of the desired design. This puppy house would benefit you a lot, you can keep the puppies out of the rooms, plus this pallet house would protect them from predators. This pallet house is also a prime source of protection from the extreme weather conditions as the animals are also affected by diverse weather conditions just like human beings. 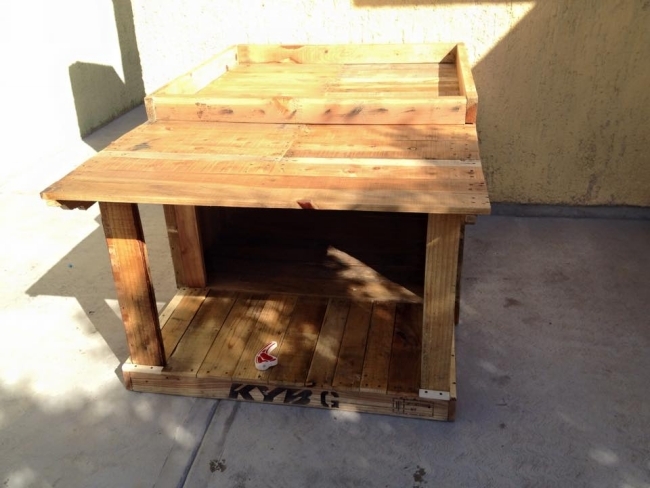 So take the best care of your puppies by making them this pallet wood puppy house. This is a simple pallet puppy house. In the back it has a wide closed chamber that is pretty enough for your puppy to lie down and have some rest. Plus the front additional space is to have a nice outer view. 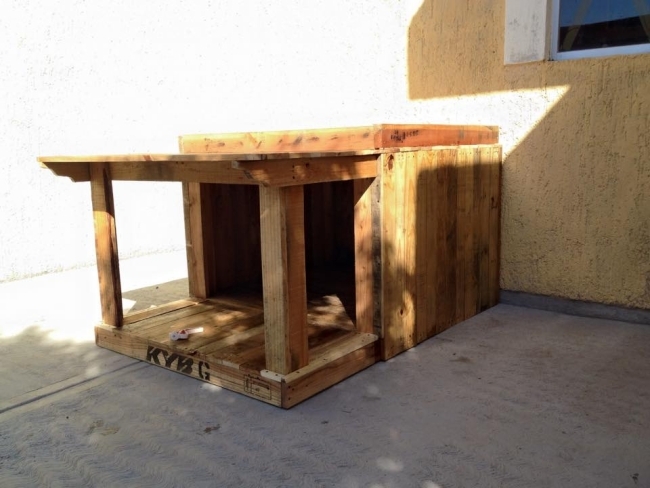 Collect a few fine pallets and try making out this one for your puppies.